Achieve sleek, hidden storage with the Pearls Mantel Dakota Two Drawer Storage Shelf complete with a felt-lined storage drawer tucked into each end. 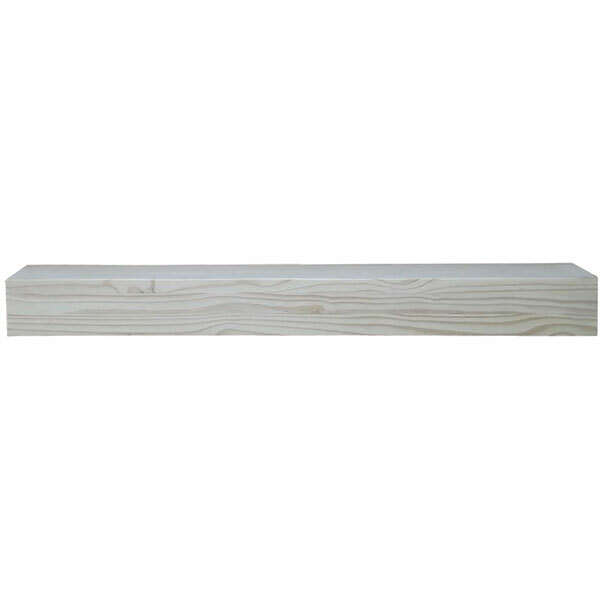 This durable pine wood shelf looks fantastic over your fireplace mantel or hung on the wall in any room. The clean lines give it a modern edge, and it's available in a range of finishes to suit your home's decor. Select your preferred length to integrate it easily into your space. Your choice of available length options. Shelf depth: 10 in.. Constructed of solid pine. Choose from available finishes. Distressed, rustic design. Features 2 storage drawers.